504 Main by Holly Lefevre: DIY Club! Finally Fat-Free Biscuits! and occasionally the home improvement project beyond my skill level. and it's bright happy days, full of sunshine and laughter. A few Fridays ago, my pal Iris of ArcoIris and Til Death Do Us Art was a Tickled Pink feature and she had these AMAZING earrings. There were totally my inspiration! Thanks Iris! One of my favorite hardware store doodads is the biscuit. I simply adore the shape and versatility of this little goodie. And, finally I have discovered a fat-free biscuit! So what do you get when you have a cheapo decorator table laying in your garage, a container of plate joining biscuits, and some super fabulous bright summery Patio Paints from DecoArt? Well, I am going to give you a party cocktail table turned hanging medallion. 1. 20” Decorator table (from craft store, etc. – The kind with the screw in legs) OR any round table you can find hanging around or at a thrift store. The craft table provides the option of hanging this project on the wall as a medallion. Want To DIY IT! Click HERE for a pdf tutorial. See how ugly my table was before...ICK! You can take the legs off and hang it on the wall for a little bit of cheer! I have another DIY project using biscuits that I will be posting on Tuesday! I also created for the DIY Club! AND FOR INFO ON THE JUNE CHALLENGE. IT STARTS THIS FRIDAY JUNE 4! a margarita or sparkling lemonade and some salsa! What is your favorite beverage to keep you cool in the summer? DISCLOSURE: As part of the DIY Club, I have been supplied with vendor sponsored products to complete my projects (DecoArt, Gorilla Glue, and DISChangers). Adorable! I love all the colors. I also love sweet tea. I drink lots of H2O in the summer - with or without lemon. i love water and sweet tea but more importanly I love this table... I went to 4 garage sales yesterday looking for a patio table than Kohl's who was asking 50.00 for there small table.... I must make one... I love biscuits used them in my classroom for years.. I have never used patio paint... where do i get it home depot... How bright and fun. This is such an awesome idea! Thanks! Beautiful fun colors! What a fun project! Fun hot colors - what a satisfying project!! great idea for summertime! come and link up to making monday marvelous! Wow, great 'fat free' project. I love it! Very cute! Bring on the sun! Oooh! I love this! The colors totally say summer. :) Great job incorporating hardware store finds. I didn't even know what a biscuit was (outside of those fluffy things I try to avoid)! what an amazing project.. 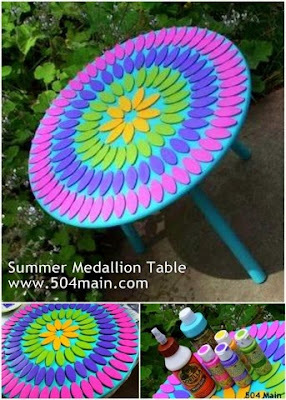 Bright colors also..
such a cute table and it looks easy enough that even I could do it without personal injury. Very cute, the colors you chose go together great. So cute! 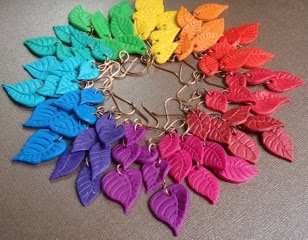 I just love the fun, bright colors...perfect for summer! I've been staring at my patio furniture, trying to decide what color to paint it and then I decided to just paint it black and make cushions for it. But what color cushions? I couldn't decide. Now...thanks to you...I'm going bright! That is so totally cool and I love those bright colors! What a really fun table! I can't believe I'm actually saying this. But, I am going to make that. I really am. Honestly and truly. LOVE it!!! :) Love this love this! So darling! I have a table (or 3) that have been waiting for something for a couple of years... but I think this is soooo cute! maybe this is the thing I have been missing! Very pretty. When I first read your title I was thinking food, you know fat free biscuits. The yummy kind. Bummer but only sorta, this is beautiful. Great job Holly. Ok - so this one is totally MINE! (alright, I guess I can't have it!) But, I LOVE it so! Fantastic job, Holly! Well done. My youngest would love that as the bright colors and circular shape would remind him of Wheel of Forture--one of his big interests these days. Very creatove! I like the idea of adding a glass to cover it. You can see the colors but yet its protected. Genius! Thanks for sharing. I already follow your great blog and just stopped by to see what you are up to :) very cute stuff I see! I LOVE that table! The colors are adorable! that is beautiful! Wish I were that crafty! Stopping by from the Tuesday Tag-along. Come follow back if you get the chance! I love that! I would have never thought to use joiner biscuits like that! You are freaking talented, Holly! I adore the bright colors and you make it sound so easy. This is so fun!! I love the bright colors and that has more than one use. What a great idea! I would never have thought to do anything like that. It is so very summery! Loving, loving, loving it!! Great job! Oh wow!! It turned out amazing!!! I just love it!!! 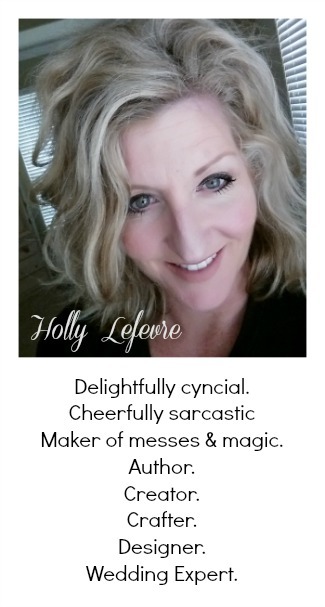 thanks for stopping by my blog and following me - I'm following you back! Wow! I love it! I would of never thought of doing that. You are so talented. Now I want to run down the hardware store and make me one!! Thanks for your sweet comment. You made my day!! This is too cute, Holly. My kids would love such a project. Wow - love it!! Very colorful!! This is pretty cool! I'm going to check out my thrift store; see if they have anything I can use!!! I love the colors! This is so darling!!! I was admiring it before and I'm so glad that you linked it to the party! The colors are spectacular! OMG Holly, I love how the table and medallions turned out! Great color combinations! This is so pretty! The colors are fantastic. I would love to link to this if you didn't mind. What a fantastic tutorial! I especially love those medallions... I might make some to hang on my balcony! What a fun idea. Those colors are definitely HAPPY!!! Now this is something I haven't seen before or wouldn't have thought of. Very fun. Love the bright colors. Beautiful, those colours are fabulous! So bright and colourful I love them! That table would be lovely in a little girls room. You are so creative. Happy SITS Saturday Sharefest! Have a wonderful weekend. So pretty. The colors are fabulous. This is gorgeous.Love the colours!Very summery and fresh. I love this Holly! So cute!! Holly, great....now I'm wanting to be sitting on a balcony w these as decorations and a marg in my hand and it's 1 am, obviously not possible at this point, ha! Thanks for linking up at Fabulous Fri! Just want to know whether its safe to use with the kids as I have rooks of the stuff! ?